Nothing that Reno Omokri tweets should surprise you. The former media aide to erstwhile president Goodluck Jonathan has managed to carve out an online presence with #RenoNuggets – the Christian-leaning missives designed to be a wellspring of advice and wisdom. But is it though? #RenoNuggests might as well be messages directly from the Antichrist, Omokri as a willing vessel. 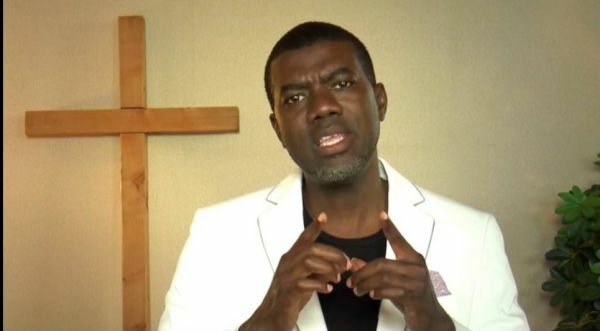 Now seriously, Omokri recently went after U.S. Democratic presidential candidate Pete Buttigieg, whose popularity in the American presidential race has soared and taken a life of its own. Buttigieg isn’t just a politician – he’s a Christian, gay, and married to his partner Chasten Glezman. Importantly, he’s an avatar on the intersection of queerness and Christianity, two identities that people have said aren’t well-suited for each other, even from within the LGBTQ community. I still can’t wrap my head on the fact that Omokri thinks being gay is a tendency that resulted from the fall of man, a lifestyle you feed. This is exhausting. It really is because I’m about to sound like a broken record. The Omokris of this world who use their large platform to disseminate homophobia do so much harm to the LGBTQ community, pathologising and othering homosexuality as an anomaly. On Sunday, Buttigieg officially launched his 2020 presidential bid, and it will be the first time in history an openly gay politician will run for the highest political office in America. It’s remarkable. And for queer Christians who are routinely ostracised from the Church for being gay, and from the LGBTQ community for sticking to their faith, Buttigieg is a breathing, living example of practising spirituality while queer. Omokri is the second figure who has spewed anti-gay rhetoric this month. Gideon Okeke, who should have just focused on his mediocre acting career, condemned the marriage of famed fashion designer Marc Jacobs to Charly Defancesco in an Instagram post. Put simply, he was homophobic, routinely propping his bigotry on religion which is what homophobic Nigerians do so well. Omokri’s anti-gayness aligns with the plethora of falsehoods found on #RenoNuggets, and his followers who egg him on are a tragic, gullible lot.